Thanks to ndixit for the heads up. BETRAYALS — After obtaining the Spear of Destiny, the Legion of Doom rewrites reality, leaving the Legends changed, perhaps forever. Frightfully, the Legends’ and the world’s hopes rest with Rory (Dominic Purcell), but being the “hero” is not easy for him. Meanwhile, there is tension within the Legion of Doom and the reason why the Spear of Destiny needs to be destroyed is revealed. 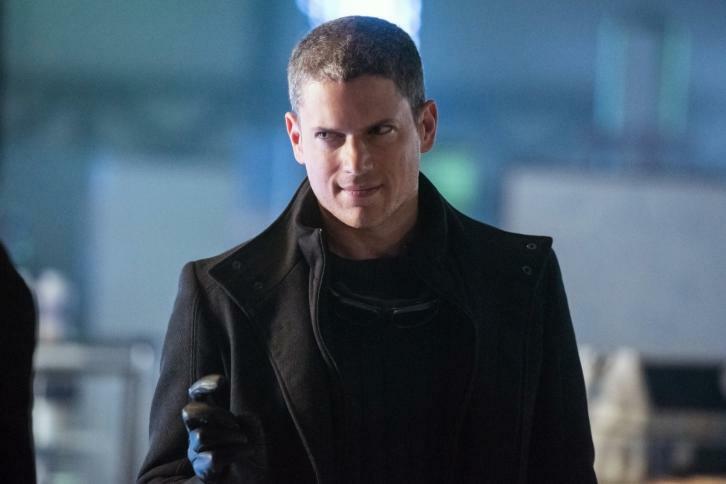 Victor Garber, Brandon Routh, Arthur Darvill, Caity Lotz, Franz Drameh, Nick Zano and Maisie Richardson-Sellers also star. Mairzee Almas directed the episode written by Ray Utarnachitt & Sarah Hernandez (#216). Original airdate 3/28/2017.